Don’t like those tablets running on ARM based Windows 8 RT mobile operating system? Then maybe HP ElitePad 900 Windows 8 tablet should be able to draw your more attention. 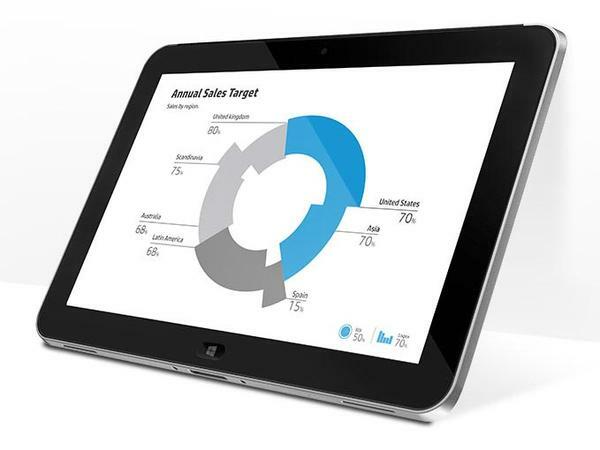 HP ElitePad 900 is a 10.1-inch Windows 8 tablet that measures 7 x 10.28 x 0.36 inches abs weights less than 1.5 lbs. The Windows tablet runs on Microsoft Windows 8 Pro 32-bit operation system, and comes with Intel Atom Z2760 1.5GHz dual-core processor (up to 1.8GHz with Intel Burst technology) along with Hyper-Threading technology, 1MB cache and Intel Graphics Media Accelerator, 2GB RAM, 32GB/ 64GB internal storage, a 10.1-inch capacitive multitouch screen WXGA display with 1280 x 800 pixels resolution, a 1080p front-facing camera and a 8-megapixel rear camera. Moreover, other specs also include WiFi, Bluetooth 4.0, microSDHC card slot, SIM slot, stereo speaker system, and 2-cell (25Wh) rechargeable battery. Apart from that, the Windows 8 tablet also features many optional accessories such as keyboard, docking station, protective case and more. 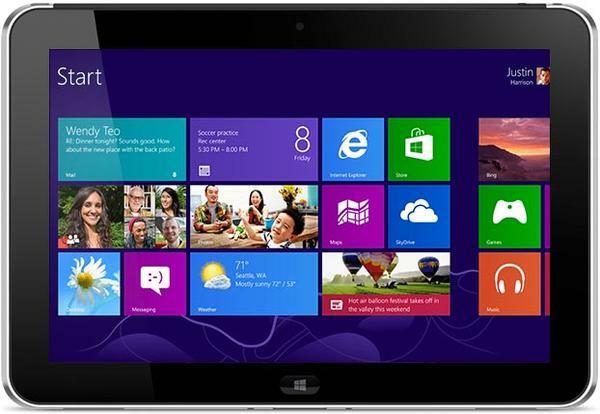 HP ElitePad 900 Windows 8 tablet will ship late January next year, but at present, HP has started accepting the preorders of the Windows tablet. The pricing starts from $649 USD. If you’re interested, jump to HP official site for more details.